The Effortless Sleep Method is the book insomniacs all over the world have been waiting for, even those for whom 'nothing ever works'. This highly practical and hugely effective method offers a simple and permanent solution for long-term and new insomniacs alike. 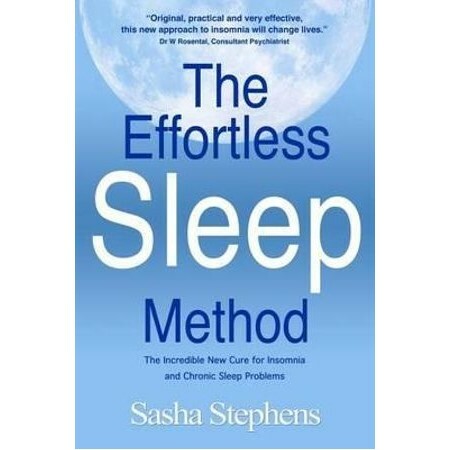 The Effortless Sleep Method gives you something no other insomnia book can - an entirely different way of looking at insomnia. The step-by-step insomnia recovery contained in this book doesn't just treat insomnia, it totally undermines it. This is not another dry as dust reference book written by a doctor, but a lively, empowering book which connects the sufferer intimately to one who has gone through the same pain. The ability to sleep soundly, naturally and unaided is the desire of every chronic insomniac. This course book will guide you to rediscovering your innate ability to sleep without pills, potions or external sleep aids. When The Effortless Sleep Method is followed properly, the results can be incredible. Many people report sleeping better than they have ever done. Now, anyone really can have perfect sleep.